This takes advantage of a French inspired flavored or compound butter. The butter is delicious on all grilled or roasted meats, birds or fish. Double or triple the butter and store in the freezer to use on grill meats or poultry, of any kind. It’s also delicious on burgers. Serve with sautéed greens, if desired. The rich Founders Reserve Pinot Noir served with this recipe is a special treat. Picadillo is a traditional dish in many Latin American countries and the Philippines (where it is known as giniling). It is made with ground meat (usually beef), tomatoes, and other ingredients that vary by region. It is often served with rice or used as a filling in dishes such as tacos, savory pastries, empanadas, or served with chips and guacamole. It is one of the favorite recipes from my book “Culinary Birds” which is a James Beard award winner. A glass of the complex The Cutrer Chardonnay is a surprising and delicious match to this recipe. Here’s my version of that wonderful soup from Provence in France. There are all kinds of variations on this but usually it includes both dried and fresh beans, tiny pasta, root vegetables, and other fresh vegetables available. The secret ingredient is a piece of Parmesan cheese rind to simmer along with the broth. It adds great flavor. Remove it at serving time and reuse it till it’s gone. Store the rind wrapped in the fridge. If you don’t have any rind the soup will still be delicious. This makes a lovely presentation and works equally well with other shellfish such as lobster, Dungeness crab or even scallops. Be sure to use sustainable American shrimp for this recipe. The Caesar dressing here is a bit unconventional (uses tofu) but no one will know! This is a lovely meal in a dish that goes well with Russian River Ranches Chardonnay. Wine is a truly thoughtful gift. Everyone is happy to receive a bottle!Especially when there is a special meaning to the wine given. 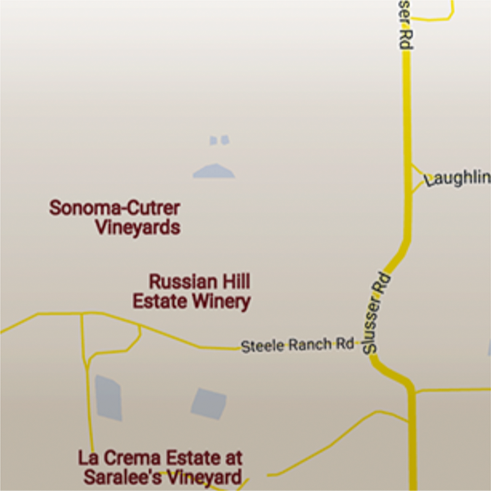 You may wish to give a bottle from a winery you visited, a local favorite, or a highly acclaimed selection. As wine is a very personal gift, the recipient must be considered when you are choosing the wine. Sonoma-Cutrer’s Wine Gift Guide will help with your selection based on the recipient’s wine experience. Just beginning to discover the world of wine and their palate. Introduce the Novice to Russian River Ranches Chardonnay, which is a signature example of how diverse soils and perfect growing conditions can create an exceptional Chardonnay. True to the Russian River Ranches style, the wine is focused with a bright acidity and balanced by a long palate structure. The novice will find this wine to be refreshing with crisp flavors of lemon, green apple, barrel spice and lime that dissolve to a light, creamy mid-palate before ending a long finish. Passionate student of all things wine, loves to share. Delight your Wine Geek with the gift of Les Pierres Chardonnay – a true reflection of its terroir. The Les Pierres Vineyard sits atop the gravelly clay loam of an ancient riverbed, thick with cobbled stones that infuse the grapes – and the wine – with a varied mineral essence. Sunny citrus flavors of grapefruit and lime are complemented with roasted nuts, spice, and mineral notes. The wine has a tightly focused mouthfeel with Sonoma-Cutrer’s signature bright citrus-laced acidity delivering a long, juicy lingering barrel spice finish. Your go-to, knows everything master of wine. The Connoisseur may be difficult to impress, but the gift of the sophisticated Founders Reserve Pinot Noir will do just that! This exquisite wine is crafted each year from the six best barrels of Pinot Noir, which are chosen by our winemakers. The connoisseur will notice earthy accents and fragrant tobacco contrast the enticing aromas of blackberries, black cherry and dark chocolate. This full-bodied and richly textured wine is powerful yet approachable with flavors on the palate of allspice and bramble fruit, which you can taste throughout the lengthy finish of the wine. This delightful dessert recipe is easy and incredibly delicious. We are serving this with strawberries and blueberries, but use any combination of fruits that you prefer.